Overwatch is a popular first-person shooter that lets teens and adults battle it out across a variety of multiplayer modes. One of the game’s biggest draws is its huge variety of collectible items players can unlock for their accounts, from new character animations and sprays to new skins, or costumes for the game’s many playable characters. 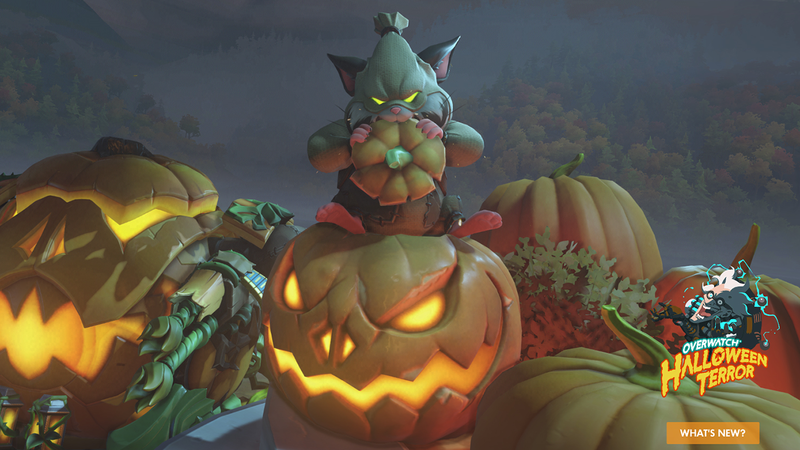 Each year, Overwatch celebrates the spookiest time of the year with a limited time Halloween event chock full of all sorts of collectible goodies. This year’s Halloween Terror event starts October 9, and will last until October 31. While we don’t know every prize that will be up for grabs, Forbes spotted that the Overwatch Twitter account has been sharing previews of some of the event’s spooktacular new skins. Players will be able to unlock these skins for free (and at complete random) by opening the mystery loot boxes they earn while playing. GameSpot reported that each new skin will also be available to purchase for 3,000 Credits, the game’s currency. In addition to this year’s new skins, GameSpot said players will also be able to purchase any skins they missed from previous Halloween events at a cheaper price. Finally, GameSpot reported that the Halloween Terror event will let players team up in the Junkenstein’s Revenge cooperative multiplayer mode. This mode lets a team of players compete against computer controlled enemies as they experience a spooky story. If the name sounds familiar, the Junkenstein’s Revenge mode was also a part of previous Halloween Terror events. Remember, parents, even though your kids and teens may desperately want some of these new skins, purchasing them isn’t a requirement. If there’s a skin your kiddos simply can’t live without, why not encourage them to help out around the house or complete another household activity to earn the Credits they’ll need to purchase it? That way, you can feel better about spending money, knowing they earned it.